Big data is a major issue in the modern oil and gas industry and encompasses a wide variety of data types. In some cases, the data being gathered involves pressure readings, oil flow rates, and machinery performance data. In other applications, the data may be modeling the earth’s structures. Well logs, seismic data, and low-resolution imaging can be critical to providing the necessary data for a favorable outcome. Reliable real-time data is becoming more and more critical, too. Many competitive oil and gas companies are using real-time data from downhole drilling with production data from nearby wells in order to better optimize production. These downhole readings provide vital information on neighboring geology, well conditions, and gas pressures. This detailed analysis gives oil and gas producers a key edge on the market. However, increasing demand for more data brings with it a host of challenges. Topside surface data loggers (SDL) are one of the fundamental components in gathering downhole readings for real-time use. While many companies use fiber optic ex-connectors with fiber optic cable, this can lead to issues with panel mount receptacles. Most current panel mount receptacles have relatively large backshells. When space is limited within an explosion-proof enclosure, the wire, cables, and electronics battle for space. The mapping of data logging electronics is critical, and data logger manufacturers are working hard to offer a reduced footprint and a hybrid interface. Fortunately, there are viable solutions to these niche connector issues, like the Trolex® Falcon Series. In this case, the Trolex F25 panel mount receptacle has no backshell and fits a small M20 threaded hole, which results in substantial savings in space. Additionally, this panel mount receptacle has a robust stainless steel design and a simple 2-position bayonet interface allowing live disconnect. Finally, it can be offered with a hybrid insert (4 copper + 4 fiber optic), resulting in fewer connections through the customer’s explosion-proof enclosure. This Trolex connector design is an excellent solution for hazardous environments that require a minimal footprint. Many oil companies are dependent on antiquated methods of collecting data that are time-consuming, expensive, and immobile. But to stay competitive in today’s market, that approach must change. New approaches like horizontal drilling and fracking are combining key innovative technologies in affordable land shale, quickly making the US a top three producer. The industry must have affordable, temporary, and modular drilling rigs to easily move from one site to another. Using industrial connectors designed to withstand a harsh environment and high volume utilization are also necessary factors to consider for modern oil and gas technology. All of this is complicated by the fact that service tool companies are limiting R&D and focusing on just-in-time (JIT) delivery to reduce budgets and streamline component inventory. In such cases, technology and product development phases may be running simultaneously. 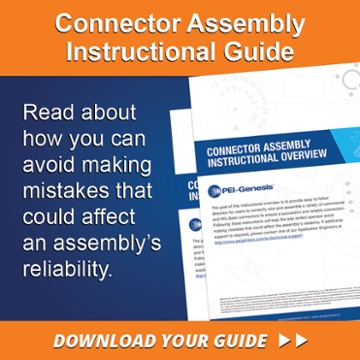 This can cause some major challenges when selecting connectors, cable assemblies, and sensors for new projects. 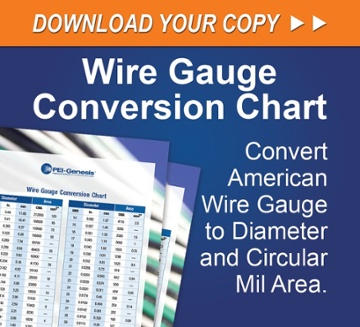 Many times a customized connector solution is needed within a very short amount of time. In complex situations such as this, companies need a trusted partner who can help them nurture important data projects and programs. Experienced and innovative partners are able to help their customers through every step of the design process, from concept development to manufacturing. At PEI-Genesis, we follow the trends that impact our oil and gas customers and take the time to thoroughly understand the challenges they face. We work with our customers to find optimal solutions for connectors, enclosures, cable assemblies, and more. When a catalog-off-the-shelf part will not work, we work closely with the client to develop a customized engineered solution that fits both the project budget and available timeline. Contact us today to see how we can help meet your critical electronic design demands to retrieve the data you need.